I love a parade – especially when it’s a parade of Fresh Hop Ales. I say keep ’em coming and I know I’m not the only one! Local breweries are definitely hearing that call and answering back in a big way. So far this season, I’ve enjoyed Fresh Hop Ales from at least 8 Northwest breweries (mostly Seattle, but a few from Oregon), and I’m looking forward to having even more in the coming weeks. Now Stoup Brewing Company in Ballard has announced their Fresh Hop lineup for the 2018 season, and it doesn’t disappoint. Stoup if keeping it fresh with at least 5 different Fresh Hop Ales coming our way over the next few weeks. There’s a lot going on right now at Schooner Brewing (formerly Schooner Exact Brewing Company). They’ve finished their remodel and re-branding from the old Schooner Exact taproom, but the changes aren’t so dramatic that you won’t recognize the place. They’ve updated the style, added more seating, updated the menu and started rolling out some new beers. Don’t worry though, your old Schooner favorites like 3 Grid IPA, Profanity Hill Porter, King Street Brown and more are still around too. 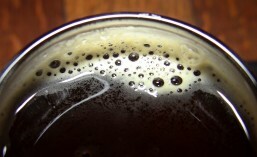 If you’re ready to try a new Schooner beer though, why not stop in for a pint of their SODO IPA, which is on tap now. Also on tap for these waning days of Summer is their very popular Seamstress Union Raspberry Wheat. Not your thing? Then hang on till the first week of October when Schooner Brewing’s Comet Fresh Hop will make its debut. Don’t be sad that our Seattle Summer is winding down and Fall is set to return. Instead, rejoice in knowing that the hop harvest is upon us and that means the return of Fresh Hop beers. Several local breweries make Fresh Hop beers each year but one brewery really goes all out, releasing multiple Fresh Hop beers for us to enjoy each year. That brewery is Fremont Brewing Company. Each year, they release multiple versions of their Field To Ferment Fresh Hop Ale, each one featuring a different hop. The first release in this year’s Field To Ferment series arrives today, 9/7 and features Centennial hops. Also, set to return soon is their wildly popular Cowiche Canyon Fresh Hop, using hops grown exclusively for Fremont on a single farm at the mouth of the Cowiche Canyon Conservation area in Yakima. Hellbent Brewing Company is one of those Seattle breweries that I just don’t get to visit as often as I’d like. My unusual work hours, combined with the fact that I live in the South end, mean that I don’t get to visit many North end breweries that often. However, that doesn’t mean that I don’t enjoy their beers and will enjoy a few pints whenever I find beers on tap from breweries I don’t get to enough. Between next Wednesday, January 17th and the beginning of February, Hellbent Brewing Company is set to release two beers and their first ever 16 oz cans. First us is a returning favorite: Big Island Toasted Coconut Stout. This beer was largely inspired by the fact that one of Hellbent’s owners, Randy Embernate, is from the big Island of Hawaii. Also on the way is their Sparrowhawk Belgian Blond and their House IPA and Dang! Citra IPA in 16 oz cans. There are a number of breweries in Seattle that have been around and been popular for several years. As a result, it’s sometimes easy to forget that some the most popular breweries in Seattle today are actually quite young. One such youngster among us is Stoup Brewing Company in Ballard. Not quite 4 years old now, Stoup has amassed a loyal following thanks to beers like their extremely popular Citra IPA and their award winning Robust Porter and Russian Imperial Stout. Not content with just a single celebration this year, Stoup has decided to stretch out their 4th Anniversary celebration in to a week full of events.